For my first night at Celtic Connections this year it really couldn’t have gone better. I was desperate to keep the Elephant Sessions passes to myself, having seen them live a few times and loved their gigs, and I was lucky enough to get last dibs and have my first night out at this fantastic festival this weekend. I convinced my ‘indie’ pal Lizzie to come with me, claiming to convert her to ‘teuchter-ism’ by the end of the night. The venue was absolutely packed with such a wide variety of demographics and, after heading to the bar, myself and my pal struggled to find any standing room at all by the time the support started. Dallahan were a great starter for the night, and their new album Smallworld was heavily featured. I really enjoyed their fun loving attitude when performing, the music was as exciting and colourful as their Tellytubby shirts. However, their mixture between the upbeat sets and ballads provided a welcome contrast. I really loved the new track ‘Footsteps’ in particular, explanation of the background of a song really gives so much more depth to the experience of hearing it for the first time. There was no doubt as to the clout of Elephant Sessions when they made their way onstage, colourful boxes lit up behind as the members rushed on to well-earned admiration from Qudos to the shout “Glasgow are you ready!?”. The band delivered set after set of exciting and interesting tune intermixes, at times synth, at times funk, at times rock, at times rave, but undeniably based in the traditional roots. This band are undeniably triumphant in their inclusion, the strange demographic was justified as we all danced together and the set moved on, getting more and more exciting. The show itself was brilliantly planned as each new tune added another layer, another genre, swirling faster and faster. I only wish that I knew what every tune was, but this is just a personal thing, I struggle to pick specific tunes out, perhaps testament to how well the night flowed, but I was always happy to hear a tune I recognised from their first album The Elusive Highland Beauty. I’ve been an Elephant Sessions fan since I was in my early teens, I remember the crowd that went with me to see them every time they toured in and around Inverness. They are well admired in the trad scene, especially among the younger players as it was so great to hear the styles we knew and loved and practised moving forward in accessibility. I was proud to share this part of my culture – my friend who came to the show was completely converted, and I was so pleased to get to share the music so connected with home for me with my pals from the South. Euan Smilie, the fiddler, returned to the stage for the rowdily called-for encore, playing beautifully solo before being joined soon after by drummer Greg Barry, Mandolin player Alasdair Taylor, Mark Bruce on guitar and newest addition Seth Tinsley on bass. 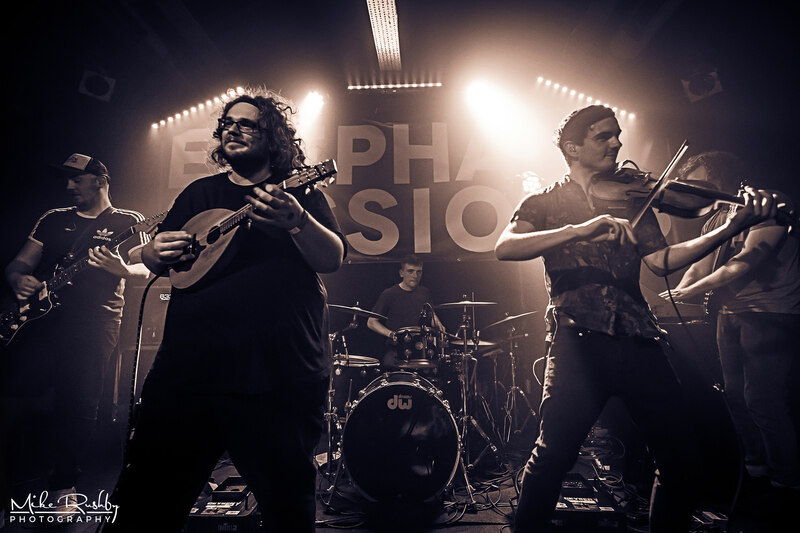 I find it so remarkable as a lover of this sort of music to see it evolve, Elephant Session’s treatment of the folk tradition is far from reductive, it only allows for its excitement to translate further than it ever has before. Confetti canons and all – there isn’t another band quite like them anywhere. We were buzzing as we pushed our way through the squished crowd into the cold January night air. Celtic Connections is so special because it illuminates the dark January nights, through Blue Monday and beyond, we both were thoroughly warmed by good music, good booze and good company.